What an honour, what a night, what a cause! 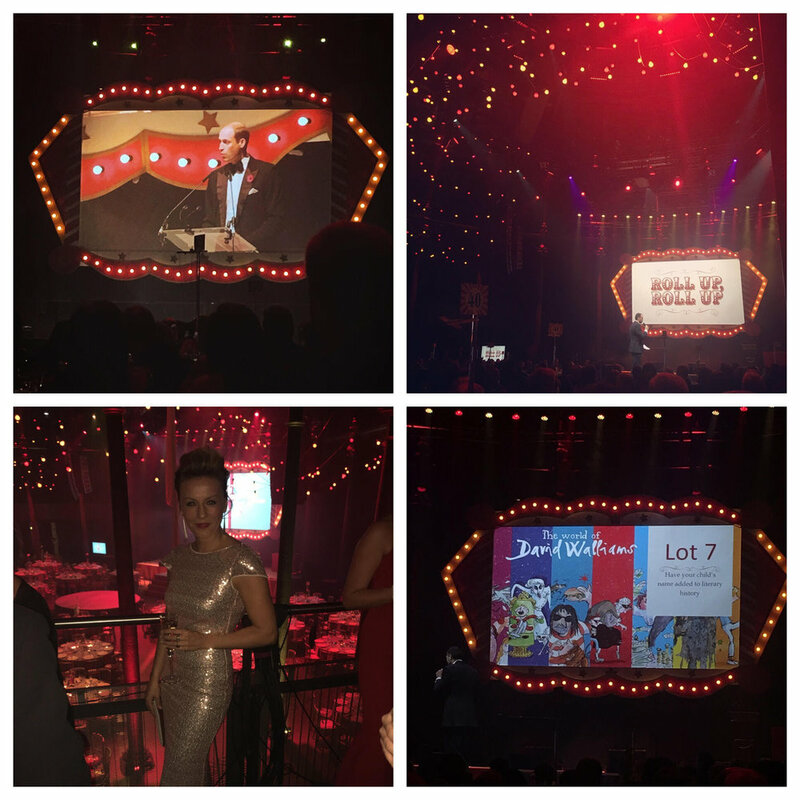 Extremely humbled and moved by the Charity Ball on November 6th 2017, at the Roundhouse with The Duke of Cambridge, The Children's Trust and SkillForce charities, hosted by David Walliams. It was such an incredible experience to be part of this charity ball. It touched me, inspired me, and reminded 'Why' I make my jewellery and why I want my business to succeed. The better we do in our own lives, the more we can do for others. The Duke spoke beautifully about why it's so important to support, nurture and encourage the youth of society and the world. They are the future and we are their 'pillars' of support, guidance and inspiration. A charming young man, 'Alfie Russell' from The Children’s Trust spoke so sincerely of his struggles to reveal his potential despite his set backs in life. 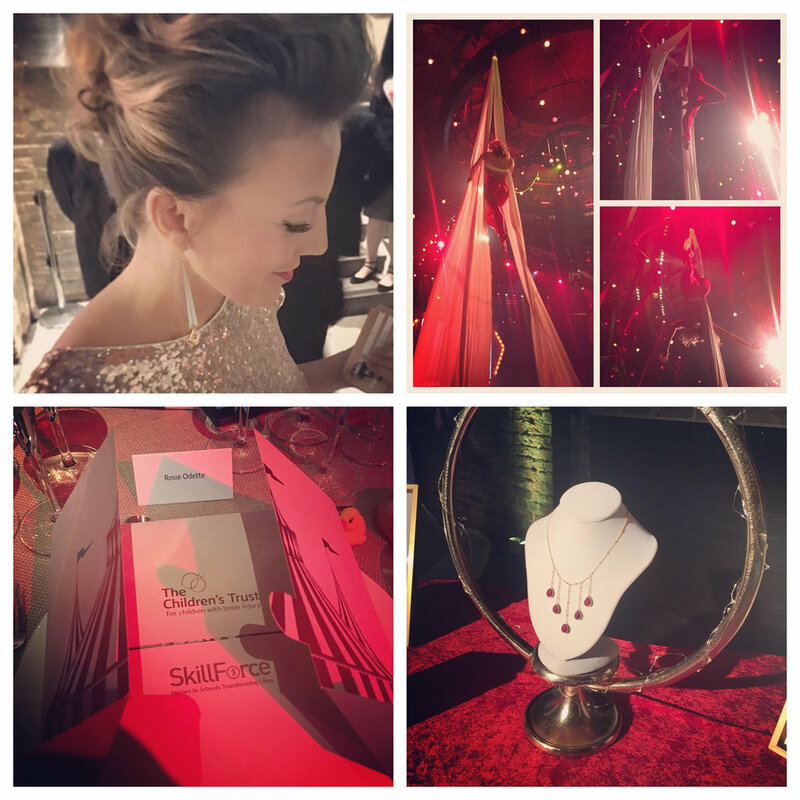 We were given the amazing opportunity to donate our Six Drop Ruby Necklace from Opulence Collection to help raise funds and also gift The Duchess of Cambridge a ‘goody bag’ in collaboration with Suzanne Neville, one of Europe’s leading designers of bridal and evening wear. We gifted one of our Ladli necklace’s and a pair of our Rosie Odette Labradorite Hook Earrings, from Opulence Collection. With a little hand written note from myself on handmade Indian paper - telling her about our Ladli project in India, helping vulnerable women and children in Jaipur, India, empower their lives. Who knows, she might wear her Ladli necklace if we’re lucky! The girls would be so chuffed. "We inspire young people to dare to do their best, and dare to transform their lives". Back to the drawing board to work out new ways to raise money for the street kids and vulnerable women in India...I'm thinking a tuk tuk rally race in 2018. Watch this space !